Here at Perennia we've recently acquired a wind meter that can attach to a phone. The small fan-like attachment plugs into the headphone jack and works in sync with a free app called Wind Meter established by the company, WeatherFlow. 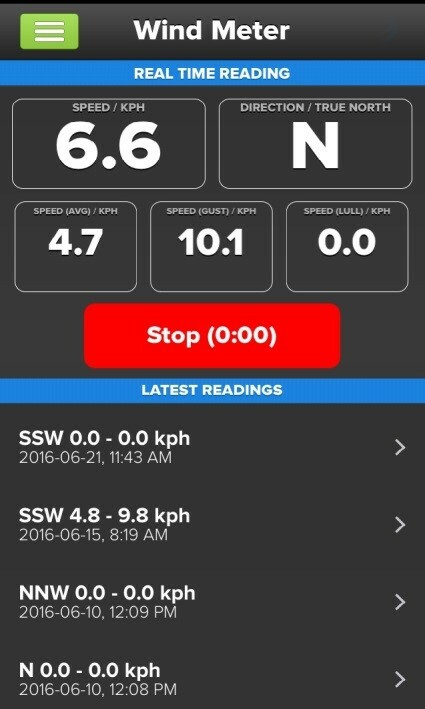 The wind meter itself costs about $50 (CAD), which is comparable to a similar product from Weatherhawk, although the Weatherhawk version is not yet available for Android. 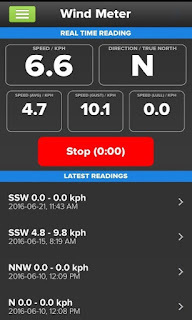 The wind meter and app will measure wind speed in either kilometers per hour or miles per hour and displays the real time wind speed, gusts, and lulls, and also track the average and report wind direction. Readings can be stored or sent via email and text, or viewed on a map. 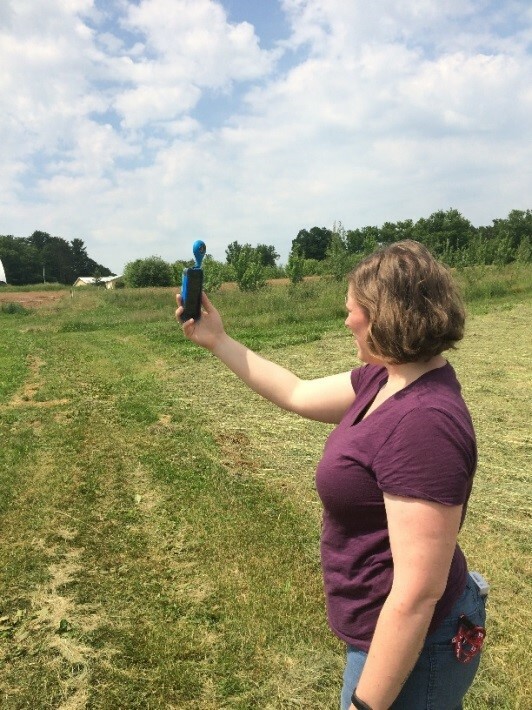 Perennia's Research Technician Caitlin Congdon has been using the wind meter when we spray our trials to minimize drift. She has compared the app and phone plugin with our handheld model and has found it to be very accurate. This type of gadget is small enough to be carried in your pocket with your phone, and is an easy way to provide specific on-site information. There are several portable wind and weather meters on the market at a wide range of price points and levels of detail. Some work through apps, either through an attachment to your phone, or via Bluetooth. The Bluetooth devices generally give more information, such as temperature, humidity, barometric pressure, etc. and sell for anywhere from $50-$250 (CAD). This post was written in part by Caitlin Congdon, Perennia's Agriculture Research Technician.